Booking Marcus Bean will cook up a storm at your special event! We are a booking agent for Marcus Bean, and can arrange for him to cook for your guests. Marcus Bean’s passion for cooking drove him to win Iron chef UK in 2010 on Channel 4. Marcus Bean, who is a self – taught chef, had lived in pubs located in and around Oxfordshire since the time he was just 5 years old. He started working as a pig farmer when his parents decided to buy a pub in Shropshire and asked him to move in with them and help setup and run the pub. He studied sound engineering while helping his family in the pub, as he was interested in getting into the music industry. All this changed after he and his wife took over their first pub in the year 2005. Being let down by various chefs for two long years, he decided to learn cooking and create new dishes from scratch, by himself. He was selected to participate in the “Iron Chef” show on Channel 4 after running the pub for five years successfully. He surprised everyone by easily completed the first two rounds and finally beat chef Martin Blunos, to win the final. Marcus along with his wife ran their pub The New Inn, in Shropshire for eight years, whilst honing his culinary skills. They bought the Brompton Cookery School and the Brompton Bed and Breakfast hotel which are a part of the park estate located on the National trust land. In this school, Marcus teaches a variety of courses daily. He also grows lots of seasonal produce in a garden attached to his kitchen, which he uses in the courses. The school became Marcus and his wife’s their main focus and they sold off their pub in May 2013 to his parents. He has worked with several big clients like Unilever, Sainsburys, Knor and Waring Kitchen products. 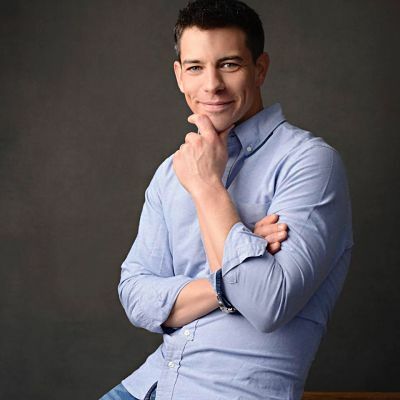 Marcus is now a regular on the show “This Morning” on ITV as well as on several other shows like “Market Kitchen” on Good Food, “Christmas special with Matt Tebutt and Lisa Faulkner” on Food Network, the shows “What’s Cooking” and “Drop Down Menu” on Channel 4. He has also appeared on the Good food show on BBC. 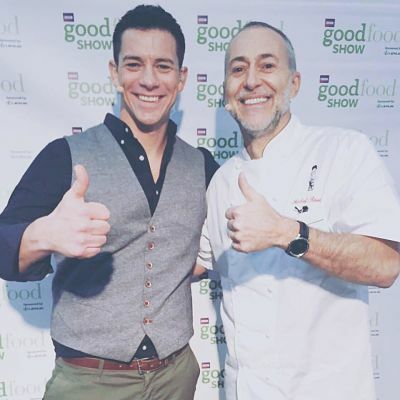 Marcus Bean has also appeared on several online shows like BBC Online’s “Video Recipes with Lisa Faulkner” and Tesco Real food and has also written several articles and recipes for different food magazines including Foodie magazine and Delicious magazine as well as regular magazines like Hello and Now magazines. Marcus has also started a catering business where you can have Marcus come to your home and cook for your family and friends, using the produce from his garden. Contraband is the UK’s top booking agent, with enthusiastic, experienced account managers who guarantee you the best deal possible. Contact us today if you would like to book Marcus Bean to be the headline of your event! We as your booking agent are more than happy to help you create the most memorable moments with Marcus Bean.